A year ago, The Loveliest Village on the Plains was buzzing with the excitement of Saturday’s impending edition of the Deep South’s Oldest Rivalry. The Tigers took that excitement and absolutely destroyed the top-ranked team in the country, 40-17. 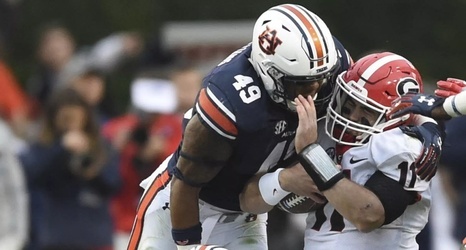 It was complete obliteration, and maybe the most complete game that Auburn’s played against a highly-ranked opponent ever. Fast forward three weeks and Georgia got revenge in the SEC Championship. What’s worse is that the loss in Atlanta allowed both Georgia and Alabama to reach the Playoff, where they met for the national championship. Vomit.